Home → Health Issues → Why do I wake up at 3am? It’s 3 am. You’re awake – again. Why?!! Over half of adults in the UK struggle with insomnia, both getting to sleep, and waking in the middle of the night. When I ask patients what time they wake up, the answer is usually “about 3am”. Yes, I hear the same time over and over again. Why is this? In Acupuncture, there’s a straightforward reason. 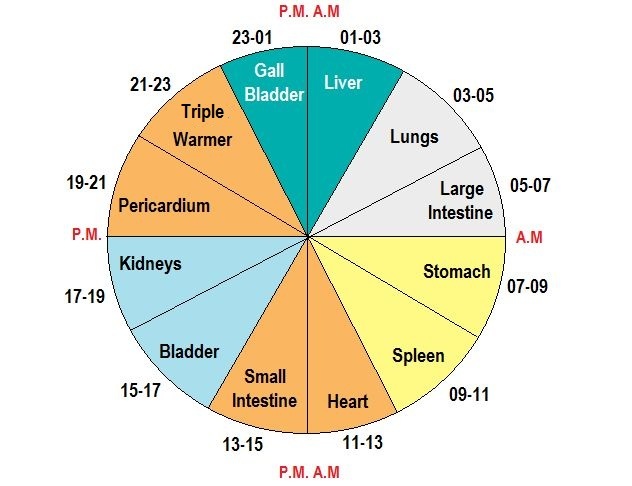 According to Chinese Medicine, the Chinese Clock (or Law of Midday-midnight) is a natural cycle of energy that regulates our daily body functions. In simple terms it makes sure that we’re active during the day and asleep at night. Each organ has a most (and least) active time of day during 24 hours. For example, during the night there is more energy concentrated in the Gall Bladder and Liver, which help us plan and make decisions. How often do we make a decision “having slept on it”? Between 5-7am, there is more energy in the large intestine: so we release bodily waste just as the new day starts. Energy then moves into the Stomach from 7-9am, stimulating hunger: the best time to eat a healthy breakfast to fuel ourselves for the day ahead. 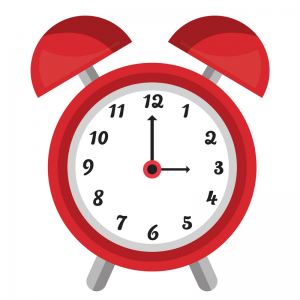 It’s not unusual to get out of rhythm and into bad sleep habits, driven by deadlines, a late TV show or kids waking you up in the middle of the night. At 3am, energy is moving from the Liver into the Lung – and this triggers the 3am wake-up. Now, hopefully, you’ll roll over and go back to sleep – but if your mind starts to race this may take some time… Our bodies (and minds) need to achieve the deep yin of quiet in the middle of the night. If we follow this natural law, we help our bodies to work at their most effective. By eating healthily, exercising and resting at the appropriate times, we can work with our bodies for maximum effect. Which includes not waking up at 3am. The good news is that acupuncture can help to restore these natural rhythms. If your body clock feels out of rhythm, please get in touch.